As map makers we use maps as a medium to convey and inform information to our readers, a pivotal part of our workflow is labeling our maps to help us. By looking at the map below, I think we could use some better labeling and positioning make locating features easier. 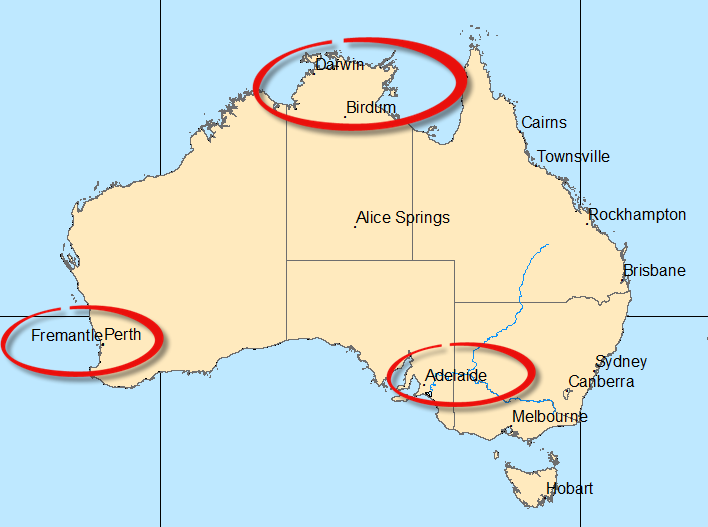 The labels for a few of the cities such as Darwin and Birdum are difficult to read as the boundary of Australia is overlapping and in the west Fremantle and Perth seem to be one city. Additionally we can see that there are two rivers but they are not labelled. It is also probably a good idea to label Australia. 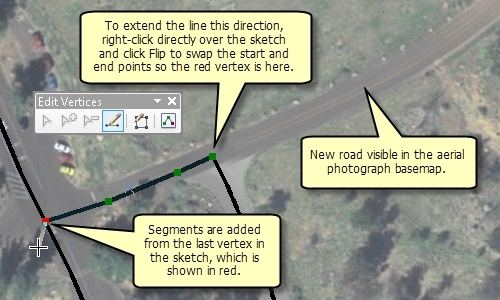 This entry was posted in General and tagged ArcGIS Desktop, ArcGIS for Desktop, edit, Geodatabase, Labelling on March 17, 2014 by Pia K.. 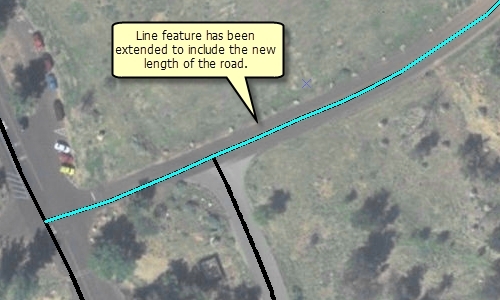 The continue feature tool allows you to continue digitising an existing polygon or line without having to create a new feature and merge that back into the existing feature. Prior to version 10 the sketch tool was used to do this but this has since been replaced by feature templates. Once the tool has been added you can select and continue digitising an existing feature (line or polygon) so its shape can be updated. This entry was posted in General and tagged 10, ArcGIS Desktop, edit on May 2, 2012 by leyman38. 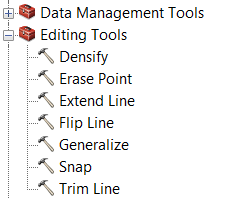 At version 10 there is an editing toolbox which has 7 tools that allow you to apply edits to all or selected features in a feature class. Let me show you an example from 3 of my favourite tools. 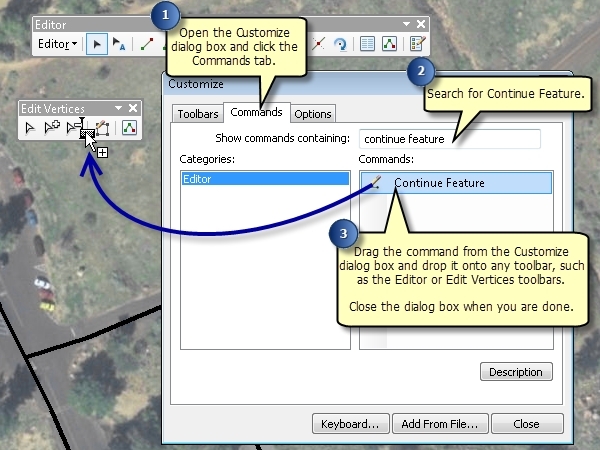 This entry was posted in General and tagged ArcGIS, ArcGIS Desktop, edit, geoprocessing on February 14, 2012 by leyman38. I was exploring ArcGIS.com this morning and came across an excellent resource I wasn’t aware of and wanted to share. It’s called ArcGIS Editing Labs. This site is a warehouse for various tools and models designed to enhance your editing experience and improve editing workflows. Two tools in particular caught my eye: the Auto Complete Freehand Construction Tool and the Cut Polygons With Circle Tool. This entry was posted in General and tagged Add-ins, ArcGIS, ArcGIS Desktop, ArcGIS Online, edit, editing, Editing Labs, geoprocessing on February 1, 2012 by kpullman. Why can’t I edit any feature classes in my versioned feature dataset anymore? This entry was posted in General and tagged class, classes, dataset, datasets, edit, feature, versioned, versioning on August 5, 2011 by Stef.